The Orient EL02003H, also known as the SEL02003H or WV0111EL, is Orient's absolute top model. It's especially suitable for divers, as it features a diving extension, so it's easy to wear with a diving suit. It's a big, solid watch, suited for anything you can throw at it. The quality is unmatched in this price range. 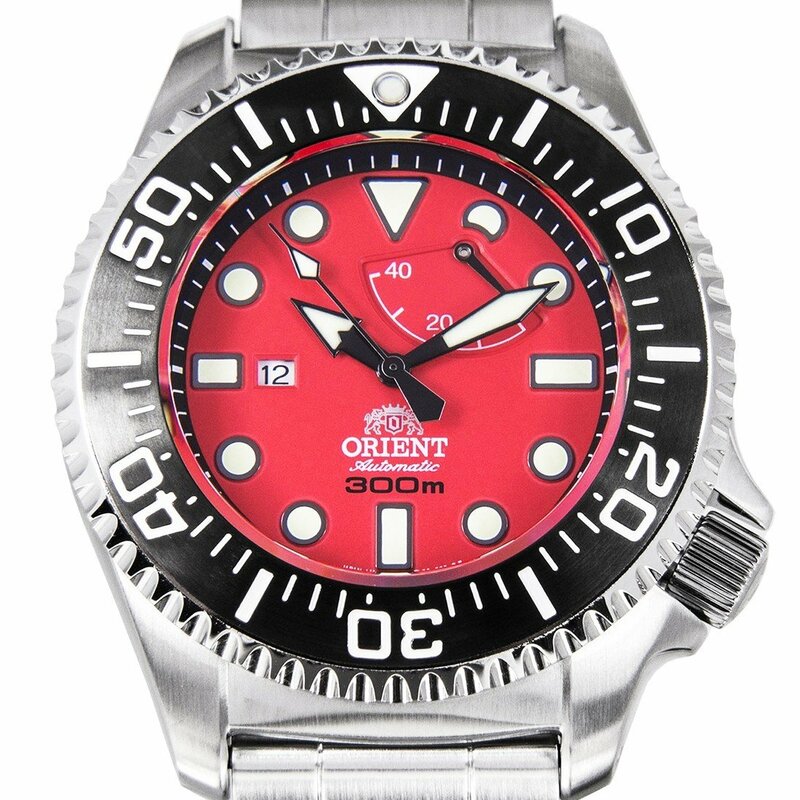 The same watch would be a lot more expensive if this wasn't an Orient. The EL02003H is the latest edition of this watch, with several noteworthy upgrades over the previous editions. For example it now features the reliable 40N5A movement, which hacks and can be hand-winded and it comes with a luxurious box with an extra rubber strap and a bracelet tool.